The holistic education of each boy and girl in our care is at the heart of everything we do. Here, at Coláiste Chiaráin, our priority is to develop academic excellence, independent learning and a realisation in each student of their full potential. At Coláiste Chiaráin we are committed to offering a broad and comprehensive range of subjects to all our students. This will enable them to choose the academic path that best suits their ability, individuality and ambitions. The exciting range of extra curricular activities, which are now on offer at Coláiste Chiaráin, further signal our commitment to our students holistic education. Each student will be offered the opportunity to discover their passion, be it in the area of sport, design, literature or technology. 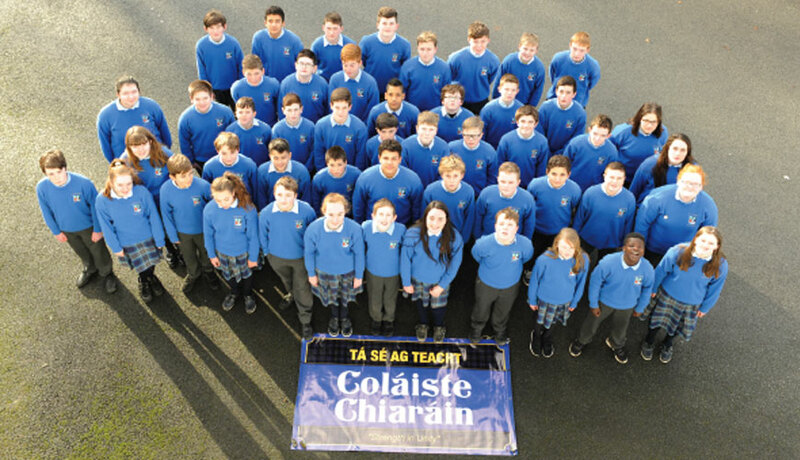 As a Diocesan school, Coláiste Chiaráin will continue to uphold the Catholic ethos. By keeping Christian values at the heart of everything we do, we believe that our students will benefit greatly from their time here. We are confident that they will graduate from our school as well educated and well rounded individuals.